Handcrafted in beautifully soft Spanish Leather the Imperial Explorer Leather Boots are perfect for the city or the field. Created with a water resistant breathable membrane these have a leather inner sole and Goodyear outer sole. Designed with the highest quality these boots are double stitched with strengthening detail on the boot spine. A tailored ankle is flattering and adds a level of secure comfort. 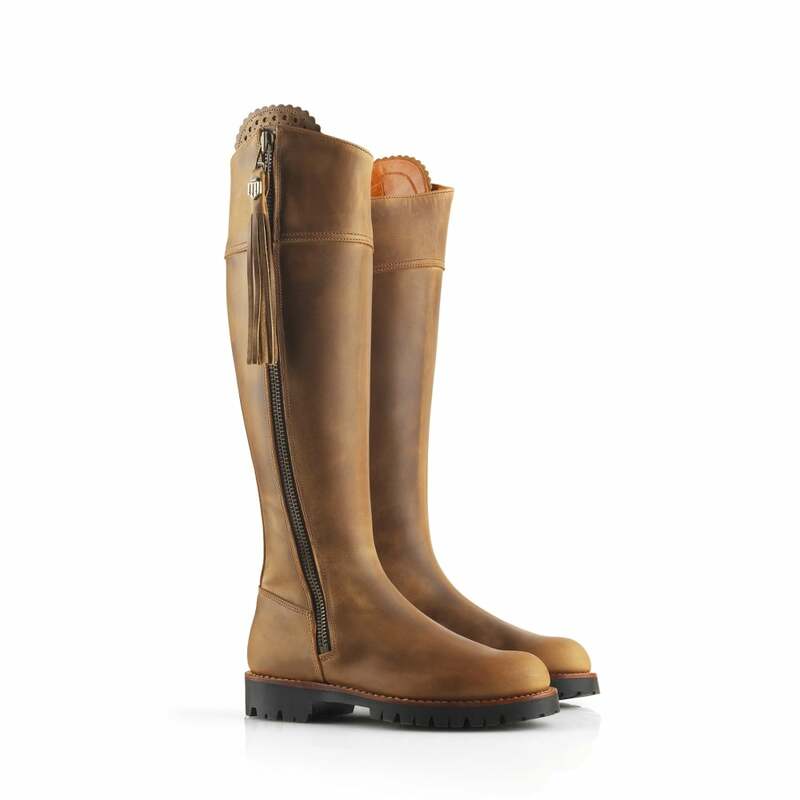 With a leather pull zip and iconic scallop boot pull these boots are perfectly finished with a leather detailing running the length of the zip and inner boot- giving the wearer maximum comfort. Ideal with any outfit these are sure to be a new favourite in your boot collection!